Upon receiving the Spring(s), per our Quality Control system, we measure the dimensions of the spring and record those on its own inspection record. 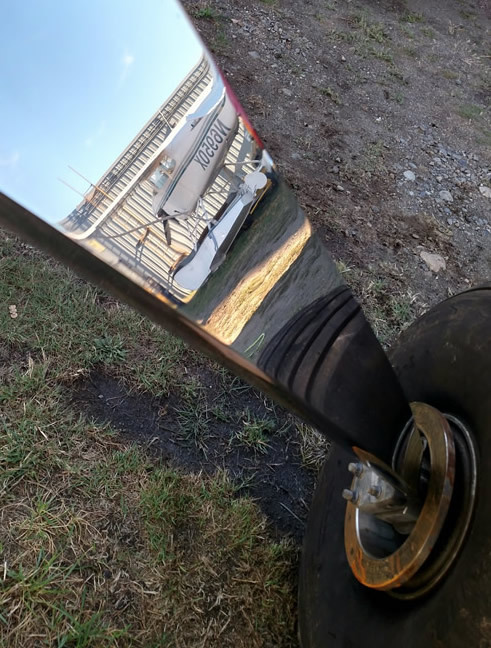 We then remove any paint or primer, Inspect per the appropriate Cessna service manual (Cessna spec 204-1) and Cessna tech print. The main items of concern are deformation and corrosion pits. If repair is required it is done per applicable sections of the Cessna 100 service manual for the particular plane and AC43.13-1B. If sprung or questionable, then MIL-H-6875 or ASM2759 is used in the repair procedure. This specification covers the requirements for heat-treatment, Stress relieving and restoring shape which is referred to as fixturing or press work. This is always preformed by a journeyman heat treat personal. The inside surface of the spring should be shot peened and this is checked carefully. Peening puts a stress into surface layers of heat treated spring steels, thereby increasing fatigue strength and resistance to stress-corrosion cracking. That surface should not be grit blasted, sanded, or cleaned with acid based chemicals to avoid damaging the peened surface or introducing hydrogen embrittlement. If needed, the gear can be re-shot-peened. Special attention is paid to inspecting and stress-relieving the lower axle bolt attach area and polishing the holes to eliminate surface work hardened areas. Magnetic Particle Inspection is employed then per AC 43-13-1B chapter 5 Visual and ASTM-E1444-94A CLASS B. This method is used to detect cracks, laps, seams, inclusions, and other discontinuities on or near the surface of ferromagnetic materials. 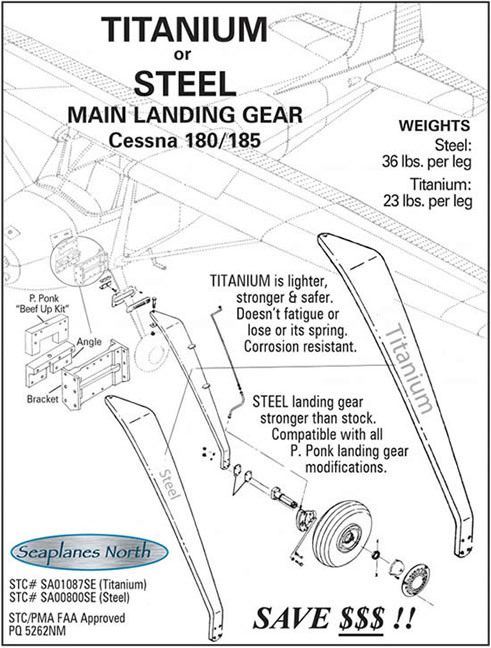 The gear is then cleaned again and a Protective finish is applied per the appropriate Cessna service manual. In short, Cessna 100 series springs can now be inspected and restored to original shape per industry accepted practice. Part 43 does not require 337 on spring gear. The peace of mind is now an option with out replacement. There is little doubt this inspection will be an AD note someday based on the reports we have all heard and seen of broken springs. Does your landing gear appear slightly or even very noticeably bent? Are you concerned about its integrity and past history? 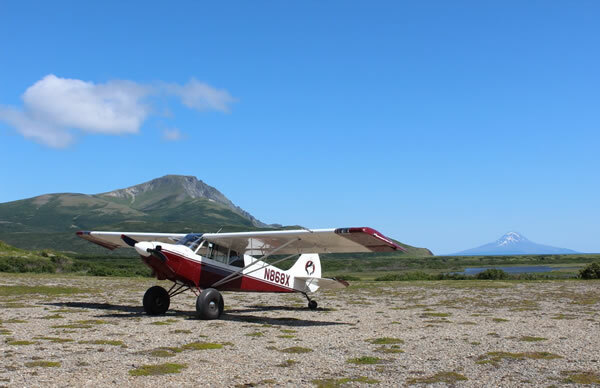 Our objective is to correct these conditions and Aleve these concerns while avoiding landing gear replacement costs. We do this by correcting deformation and other external damage, then stress-relieving the part, as well as inspecting for pitting and cracks. Heat treating and re-finishing can also be part of the process. There now is a reliable Option as your gear, assuming its not pretzel shaped, is probably repairable at our facilities. We send it out to our Landing Gear shop, a very experienced metallurgical organization, that repairs flaws induced by built up stresses and deformed beam dimension. 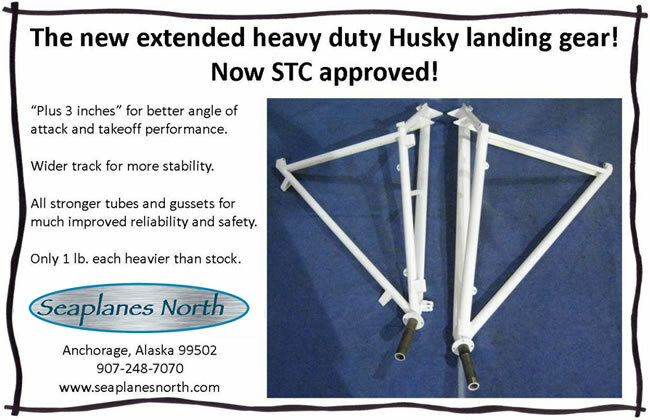 The Landing Gear Works Team has the ability to manufacture Steel and Titanium Cessna Type Landing gear. 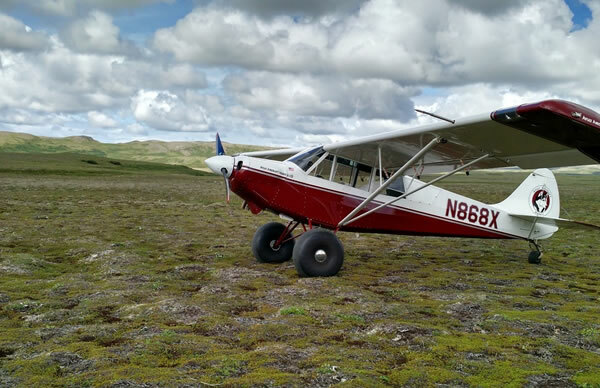 This experience has given them intimate knowledge and ability as well as the equipment to straighten, inspect, and refurbish used gear leg springs for the Cessna 140 through 206.